The sacrament of a wedding is one of the most important church ceremonies. The ceremony unites two lovers’ hearts in order to create a strong family in the shadow of the church. Due to the fact that this ceremony is held in the church, for the newlyweds and guests, there are certain rules according to which they cannot wear too open dresses. Let’s see what kind of appearance the guests should have to attend church. What dress is better to wear a wedding guest? Even as a guest, women are not allowed to attend church in a dress whose length will be longer than their knees. The best option is the length to the floor. Head all female guests should be covered with a hat. In addition, it is forbidden to come in clothes that open the back or with a deep neckline. The short sleeve is also not welcome, but the clergy does not make such serious demands to it as to the length of the women’s dress. It is unacceptable for the guest to come to the wedding in pants, and especially shorts. It is also impossible to bare legs, it is better to wear tights under clothes Sports style is forbidden altogether: guests should not choose jeans, T-shirts as clothing for the wedding. As for shoes, it is not recommended to stop the choice of sneakers or open sandals. Closed shoes are best suited in summer and low-heeled boots in winter. Some guests think that a classic long dress with a sleeve is not the best choice for a wedding, because it will restrain movement. But if you pick it up in the right shape for the figure, then in such a model it will be very convenient to stand the whole ceremony. It is desirable that the guest’s outfit is free, airy and wide so that it can fully move. Closed high-heeled shoes are allowed to wear, only now it will be inconvenient to stand for more than an hour. To hide the fullness of the hands and follow the traditions of the temple will help the length of the sleeve three quarters. In order not to make your silhouette even denser, you cannot buy baggy models for weddings, it is better to choose an outfit on the figure. You should not choose lightweight fabrics, it is better to give preference to cotton material. Clothes with draperies will make the image more interesting and visually remove a couple of extra pounds. A wide belt will make your waist thinner. As a rule, a sheath dress has a length above the knees. But in order not to cause complaints in an Orthodox church and show the figure in all its glory, the guest needs to buy a model covering their knees – and then the problem will be solved. Sheath dress is loved by many women for its versatility. After the wedding, this style can be put on work by adding a jacket or cardigan, and also can be easily turned into an evening outfit, adding expensive jewelry and a clutch. The beauty of the model is that it is suitable for any season. For a summer wedding, it is better to dress the guest’s dress in chiffon, crepe de chine or silk; the model is ideal for both women with appetizing forms, and thin, hiding body flaws and revealing dignity. For the church, it is advisable not to wear too bright high-heeled shoes, so that the image does not look defiant. The guest should cover his head with a handkerchief, respecting the church order. Take into account the features of your body: thin women are allowed to wear a model with short sleeves, and full women need a long sleeve or three quarters. Guests are allowed to wear a bolero in the church, even if it is not the same color as the evening dress. In this case, its main purpose will be to hide the open parts of the body, making the image restrained and more modest. After the wedding ceremony, the cape is removed – and the woman regains her charming look in an open evening dress. Guests who participate in the ceremony can use in addition to the bolero capes, openwork shawl, tippet, long gloves. The wedding ceremony lasts about fifty minutes, so it is better to wear comfortable shoes because the guests always have to stand on their feet. A woman in high heels to stand this time will be incredibly difficult. It is better to wear evening stiletto shoes after the ceremony, and during the wedding, change shoes into closed boats, comfortable shoes on a low stable platform or a small square heel. What to wear a guest at the wedding in the church? 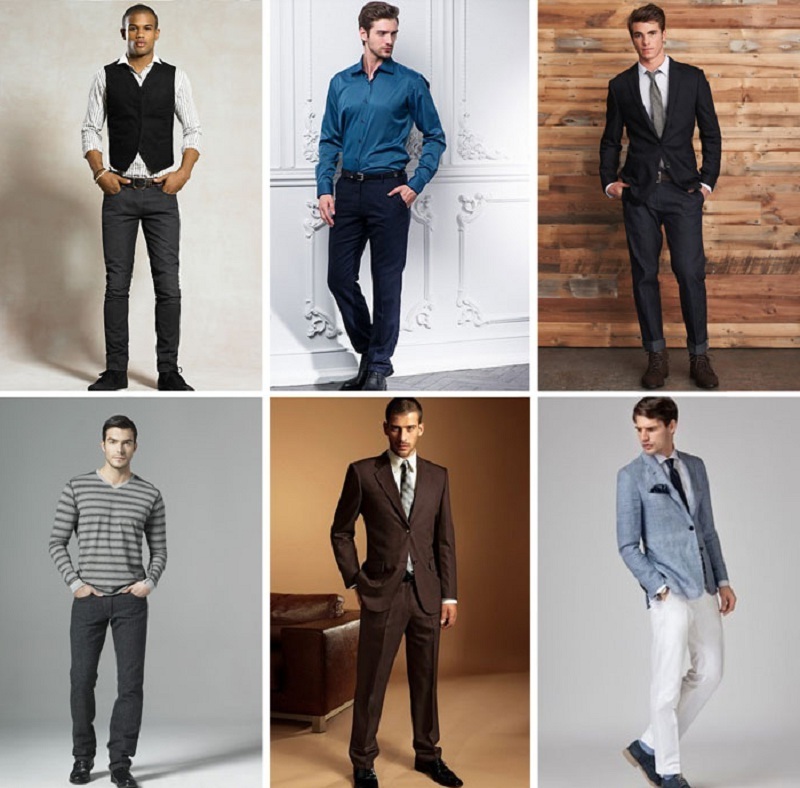 The traditionally established rules of the Orthodox Church relating to the clothes of men. For a wedding, any clothes that hide the body are suitable: a long-sleeved shirt, pants or a pantsuit. You can not appear at the ceremony in a tracksuit and sneakers. Men, unlike women, do not cover their heads when entering a temple, but if a guest has long hair, then it is better to collect them in a ponytail.